I ALSO TAUGHT HIM TO PLAY CHESS. WE AGREED IT WAS IRONIC. 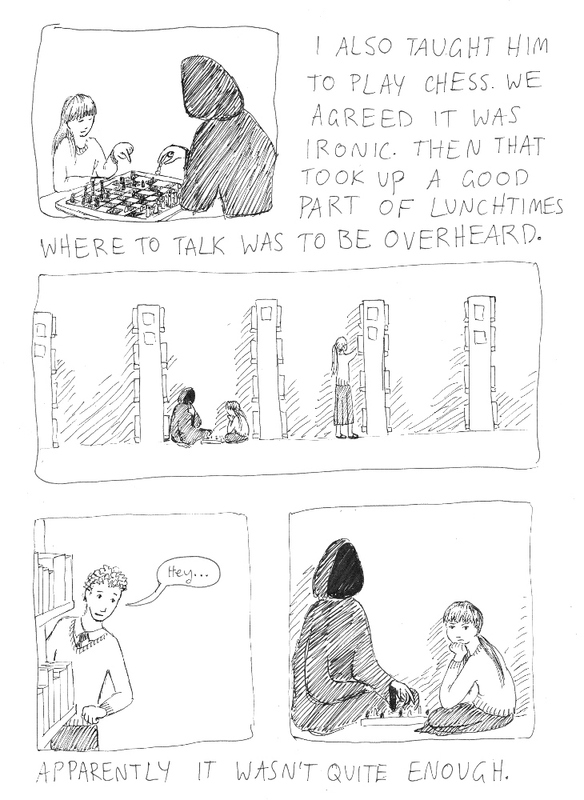 THEN THAT TOOK UP A GOOD PART OF LUNCHTIMES WHERE TO TALK WAS TO BE OVERHEARD. APPARENTLY IT WASN'T QUITE ENOUGH.